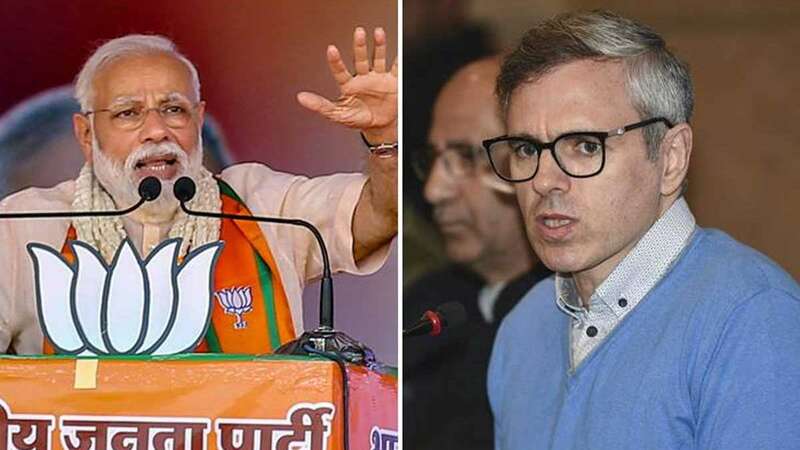 New Delhi : Hours after Omar Abdullah raised demands of having a separate Prime Minister for Jammu and Kashmir, PM Narendra Modi tore apart Congress for the remark by the leader of its ally. Addressing a rally in Telangana, PM Modi said, "What is the reason behind the Congress ally finding the audacity to make such statements?" "National Conference -a significant ally of the Congress party- has stated that Kashmir should have a separate Prime Minister. Congress will have to answer for it. What is the reason behind the Congress ally finding the audacity to make such statements?" Modi asked. He later added "Vo kehte hain ki ghadi ki sui piche le jaenge aur 1953 ke pehle ki stithi paida karenge aur Hindustan mein do PM honge, Kashmir ka PM alag hoga. Jawab Congress ko dena padega, kya karan hai ki unka sathi dal is prakar ki baat bolne ki himmat kar raha hai? (They say that they will turn back the time to the years of 1953 and Kashmir will have a separate PM, Congress will have to answer as to what are the reasons that their allies are making such remarks.)" He demanded an answer from Congress if they support the statement by Omar Abdullah. Later, Omar reacted to PM Modi's words and urged Congress and other parties not to give any attention to it. "Dear friends in the Congress & other opposition parties. Please don't hesitate to distance yourselves from my speech of today. In fact, call Modi ji's bluff by doing exactly that," Abdullah urged the grand alliance parties.